Edmonds has been deemed credible by the Department of Justice’s Inspector General, several senators(free subscription required), and a coalition of prominent conservative and liberal groups. Edmonds told Washington’s Blog that she wrote The Lone Gladio because the FBI classified 100% of her previous book, Classified Woman. When she found out that she doesn’t need to get pre-publication approval for “novels”, she decided to write a novel. So Edmonds decided to write a work of fiction based on the real-life operation- ‘Operation Gladio B’ – as the context, and with fictional events and characters in the novel The Lone Gladio. [WASHINGTON’S BLOG]: You’ve previously claimed that Gladio was not terminated with the fall of the Soviet Union, but has continued up until today … the so-called “Gladio B”. [SIBEL EDMONDS]: Yes. The title “Gladio B” was given by the FBI, because we don’t know what they really call it. NATO, MI6, MIT (the Turkish military and intelligence service), and the Pentagon, also some outside rogue elements connected with Gladio. [WASHINGTON’S BLOG]: Did you see – when you were still with the FBI – source documents about this so-called “Gladio B”? In The Lone Gladio, you have a “fictitious” set of memos that have players from NATO, the U.S. State Department and high-level terrorists meeting together. Did you see documents like that when you were at FBI? [SIBEL EDMONDS]: Yes. I reviewed over 5,000 documents. Not only from FBI’s Washington office. A lot of documents came from FBI’s Chicago office. The document were from the period 1996 through February 2002. There were written documents, and audio translated by FBI translators. [WASHINGTON’S BLOG]: Were NATO personnel actually mentioned in some of the documents or transcripts you saw as being part of these Gladio B meetings? [SIBEL EDMONDS]: A number of generals were involved. Both U.S. generals and British generals and other generals involved with NATO. And many recognizable, public names with the U.S. State Department. Most of this involved people from and State Department and the CIA. These are at the top levels … you’re not going to get operative-level involved with this. Edmonds explained that the State Department doesn’t just deploy “soft power”, but is involved in many “hard power” operations, often coordinating through well-known “Non-Governmental Organizations” (NGOs). Specifically, Edmonds explained that numerous well-known NGOs – which claim to focus on development, birth control, women’s rights, fighting oppression and other “magnificent sounding” purposes or seemingly benign issues – act as covers for State Department operations. [Background.] She said that the State Department directly places operatives inside the NGOs. As one example, Edmonds said that – during the late 90s and early 2000s – perhaps 30-40% of the people working for NGOs operated by George Soros were actually working for the U.S. State Department. Edmonds also said that Osama Bin Laden – and several other members of his family – were working with U.S. agencies as part of Gladio B right up until 9/11. Edmonds notes that Bin Laden and his family members were helping the West set up terrorist groups in Chechnya up until 9/11. Edmonds also said that the FBI failed to prosecute any of the criminal activities occurring in the United States as revealed by these documents. [WASHINGTON’S BLOG]: In terms of 9/11, what’s your opinion about whether there were countriesinvolved, or whether it was rogue Gladio personnel? [SIBEL EDMONDS]: You have to separate the pawns from the main players. There might have been elements involved within countries: for example Prince Bandar in Saudi Arabia, or Turkish people at the MIT. 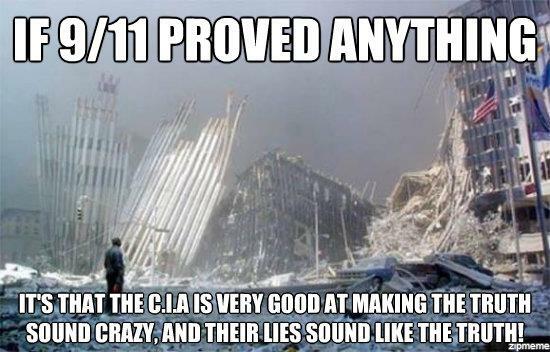 But the people who ran the show at the top were NATO and Gladio. And Gladio was under the U.S. It was – and is – an operation under the U.S., for U.S. empire. As far as people who ran the show, it was the highest levels of NATO, the U.S., MI6, CIA and the Pentagon. Edmonds says that the entire focus of the U.S. and these related groups is to control the world’s resources, such as oil and gas pipelines in Eurasia. She explained that many of the people in Eurasian region speak Turkic languages. For that reason, Turkey and its intelligence service – MIT – has been a major conduit for Gladio operations. And since a lot of the resources are in former Soviet countries, a lot of Gladio’s focus has been in those countries. Postscript: Edmonds has previously stated that Bin Laden – and his number 2 Al Qaeda lieutenant – Ayman al-Zawahiri – worked with the U.S. government for 3 months AFTER 9/11 to coordinate destablization in the Caucus region. If you want to hear Edmonds name some names, watch part 1 and part 2 of her interview with James Corbett.